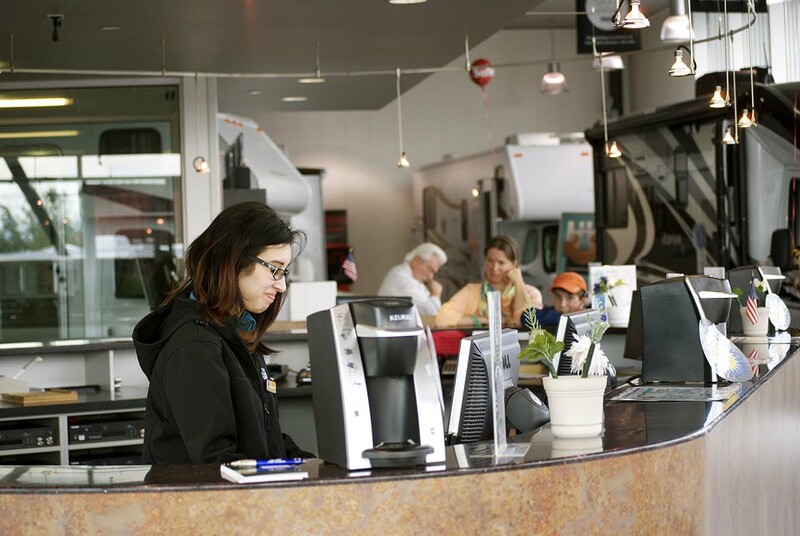 – Responsible to check out motorhomes to rental clients. Includes such tasks as preparation of rental contracts and associated paperwork. – Responsible to transport clients to/from airport, and assist clients with their luggage. – Responsible to assist clients with concerns and/or complaints. – Responsible to assist in opening and closing of business for rental season. Includes such tasks as inventory and preparation of vehicles for rental, storage and/or sale. – As needed, responsible to assist the Production Line Team in preparing motorhomes for rental. – Responsible to maintain rental item inventory, cleanliness and readiness for rental. – Responsible to assist Maintenance Department in completion of weekly parts/supply inventory. – Must have current Alaska driver’s license, an excellent driving record and maintain same during employment. Current copy of driving record is required prior to beginning employment. Insurance requirements do not allow the hiring of applicants that have been convicted of reckless driving or driving while intoxicated. Insurance requires that drivers of company van be at least 25 years of age. – Must be able to deal with clients and resolve customer complaints. – Must be able to pay consistent attention to detail. Extremely high level of accuracy required in connection with client records, files and contracts. – Must be self-motivated in looking for, finding and completing tasks that contribute to the operation of the business. – Must punch in and out for the workday and in and out for your lunch break. – Must be able to work through October 2nd, including weekends and holidays.